We’ve had a pretty great response to episode fifty so far. (Not surprising given how entertaining and insightful Lexi was.) Everyone seems to have loved it, but they all add – with no small amount of incredulity in their voices – that they hadn’t heard of Euzhan Palcy before our show. Many of these people are hardened cinephiles, baffled as to why Palcy or her works have never come up before. Sugar Cane Alley (1983): This is the film that put her on the map, so it’s thankfully easy to find. It doesn’t appear to have been released on DVD in Australia, but you can order the disc from the USA, or if you want it immediately and care not for physical media, buy or rent it digitally from iTunes here. 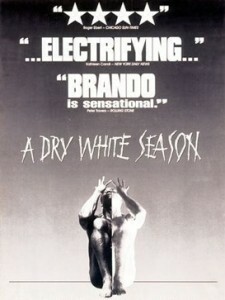 A Dry White Season (1989): This one doesn’t seem to be available digitally, at least in the iTunes store, but it’s the easiest one to track down, most likely because it’s the one with Donald Sutherland, Susan Sarandon and Marlon Brando. The DVD is readily available in Australia, and you can order it right now for ten bucks here. 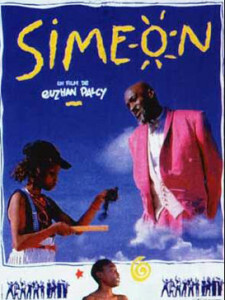 Siméon (1992): This doesn’t appear to have been released on disc locally, but you can rent it digitally via Amazon.com or via iTunes or via YouTube. Ruby Bridges (1998): There doesn’t appear to have been a local DVD release of this film, but you can order the disc from overseas. Alternately, you can rent it via Amazon.com or watch it for free on YouTube. 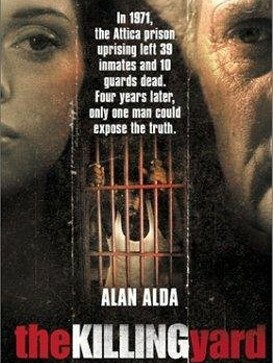 The Killing Yard (2001): It’s hard to believe that a film about the famous Attica Prison riot that got Pacino so worked up in Dog Day Afternoon, with Alan Alda, Morris Chestnut and Rose McGowan doesn’t rate a wider release, but there you go. We ordered what we thought was a legitimate DVD from eBay, only to discover that it was a video disc with Chinese subtitles hard-burned onto the image. We still can’t tell if it was a knock-off or a proper release. Amazon.com only has the VHS for sale, which you can get here if you’re keen enough. A brief Googling reveals many sites claiming you can watch it for free by signing up, but we cannot vouch for the validity of any of them. If anyone can find a way to get a hold of it, please comment below. We didn’t mention her 1975 telemovie The Messenger (which pre-dates Sugar Cane Alley) in the show, because it’s actually missing. We even contacted Ms Palcy’s representatives to track down a copy, and discovered that not even she has it! So, if you work in a television archive, keep an eye out for it. Her other television programs such as Aimé Cesaire: A Voice For History (1994), Parcours de dissidents (2006) and Les mariées de l’isle Bourbon (2007) are a little tougher to track down, but hey, maybe if we apply some pressure we can get at least a digital release. 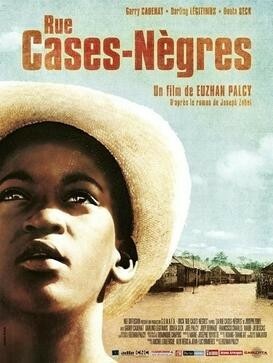 This entry was posted in blogs and tagged a dry white season, aimé césaire: a voice for history, euzhan palcy, les mariées de l'isle bourbon, lexi alexander, parcours de dissidents, ruby bridges, rue cases nègres, siméon, sugar cane alley, the killing yard, the messenger on August 8, 2014 by The Hyphenates.